​​Naiads – Group of minor goddesses, daughters of the Potamoi. Greek goddesses of freshwater sources. Narcissus – Mortal, son Cephisos and Liriope, loved by Echo. Nausinous – Mortal, son of Odysseus and Calypso, brother of Nausithous. Nausithous – Mortal, son of Odysseus and Calypso, brother of Nausinous. Neilos – Potamoi god, son of Oceanus and Tethys, father of Memphis and Chione. Greek god of the River Nile. Nemean Lion – Monster, offspring of Orthrus and the Chimera. Resident of Nemea. 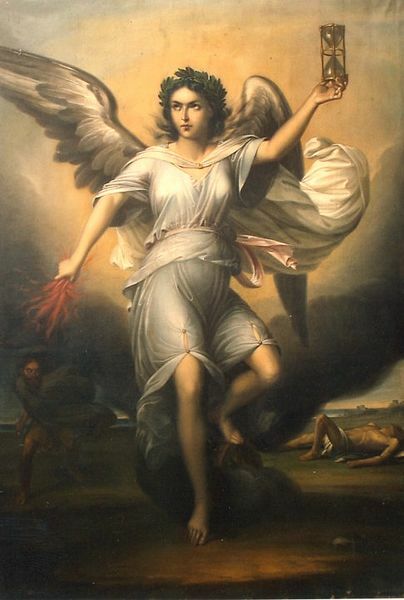 Nemesis - Early goddess, daughter of Nyx. Greek goddess of Retribution. Neoptolemus – Mortal hero, son of Achilles and Deidamia, husband of Hermione, lover of Andromache. Achaean hero at Troy and King of Epirus. Nephele (i) – Creation of Zeus in form of Hera to test Ixion, by Ixion became mother to the Centaurs. Nephele (ii) – Minor goddess, possible daughter of Oceanus and Tethys, wife of Athamas, mother of Phrixus and Helle. Nereids – Group of minor goddesses, daughters of Nereus and Doris. Fifty goddesses associated with the bounties of the sea. Nereus – Early god, son of Pontus and Gaia, known as the Old Man of the Sea. Husband of Doris, father to the Nereids. Greek god of the Sea’s Rich Bounty. Nerites – Minor god, son of Nereus and Doris. Transformed into a shellfish for his hubris. Nesoi - Protogenoi goddesses, daughter of Gaia. Greek goddesses of the Islands. Nessus – Centaur, son of Ixion and Nephele. Acted as ferryman across the River Evenus. Nestus – Potamoi god, son of Oceanus and Tethys. Greek god of the River Nestus in Thrace. Nike – Daughter of Pallas and Styx. Greek goddess of Victory. Niobe - Mortal queen. Daughter of Tantalus and Dione, brother of Pelops and Broteas, husband of Amphion. Queen of Thebes. Nisus - Mortal king, son of Pandion and Pylia, brother of Aegeas, husband of Habrote, father of Scylla, Eurynome and Iphinoe. King of Megara. Nomia – Naiad nymph, possible husband of Lycaon and mother of Callisto. Nymph of Mount Nomia in Arcadia. Nomos – Minor god, possible son of Zeus, husband of Eusebeia, occasionally named father of Dike. Greek god of law. Notus - Anemoi god, son of Astraeus and Eos. Greek god of the South Wind. Nympha – Horai goddess, daughter of Helios. Greek goddess of morning bathing. ​Nysus – An Ourea and Protogenoi, son of Gaia. A Greek god of the mountain of same name. Nyx – Protogenoi goddess, daughter of Chaos, wife of Erebus, mother of many. Greek goddess of the Night.